Algatint dyes for the hair, hair mahogany Violin very intense Algologie, Algatint are dyes without ammonia, natural shades, made with extracts of algae and plants properly combined with colorants classics. From the first application, dyes Algologie Algatint stained, equate, and cover any type of hair, even gray hair, leaving them soft and lustrous; In addition to an effective and stable coloration. have achieved some permanent dyes with the advantage of the natural dyes, without his characteristic aggressiveness and without the inconvenience of its low durability to laundering. * greater smoothness and tolerance for the hair. * Effect of longer duration with natural dyes. * a range of attractive colors in natural tones. 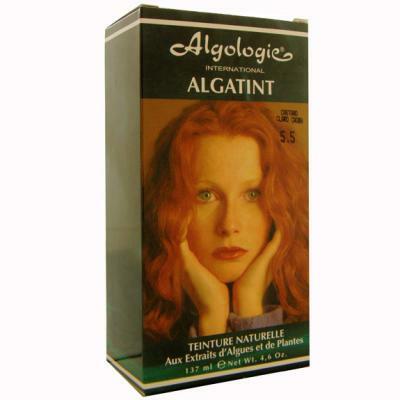 * 1 tube Algatint dyes for the hair, hair mahogany Violin very intense Algologie 50 ml. * 1 bottle OXYCREME (hydrogen peroxide cream) 50 ml. avoid the scalp is Tinea and therefore become irritated to the remove the product. shampoo to be used after removing the tint and lighten the hair. excellent smoothness to the hair and facilitates the molding.